Have a "look" around mine, and then go visit the other blogger's pages. There's always something fun, sentimental, or better yet, embarrassing going on. It's like your house, only we're admitting to the craziness. You have our permission. Buzz on over! That's what the man and I said when we decided to take down the playhouse that's been in our backyard for 10+ years. We had a week off for Spring Break and figured this would only take a day or so. Holy Hannah, people. We were so wrong. 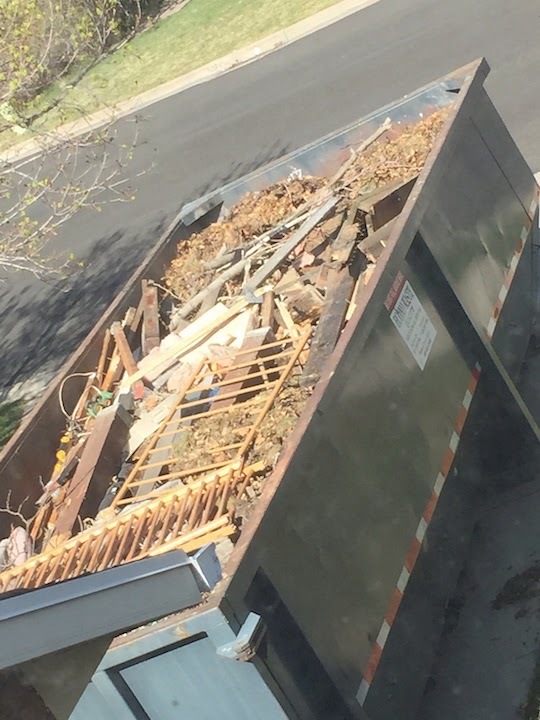 Yep, that's a dumpster. Full of a playhouse. It was a really good day. Those of you familiar with my struggles with depression can understand how big this was for me. Alex and her husband spent the night before coloring eggs with us. After all of these years, I still Google the directions on boiling eggs. 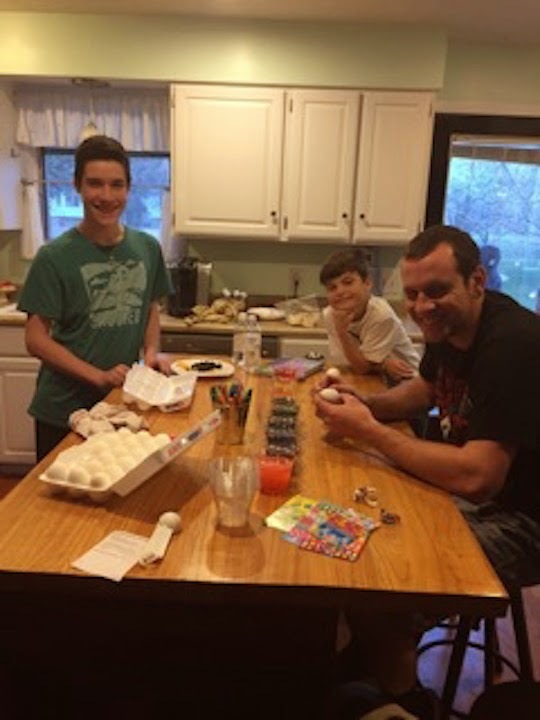 I would show you all of the colorful, finished eggs, but Alex was ready for deviled eggs. 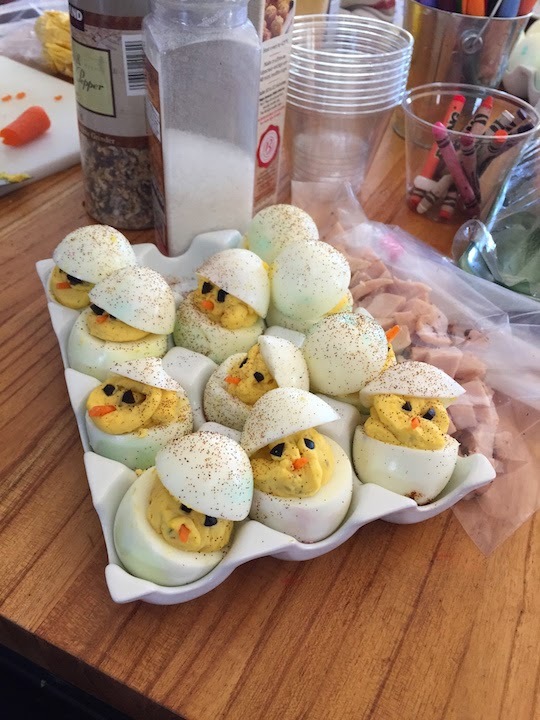 These are my Pinterest-FAIL chicks. Eh, they were still delicious. After church, Alex and her man came over for brunch. The weather was gorgeous. We were able to sit outside and eat in the sun. I may have mentioned this before. But when my children are wrapped around my table; when they are laughing at everything and nothing at all, I am at my happiest. My whole world was right in front of me. My heart was full. Me to Alex: "I'm going to have to go ahead and agree with you. That woman has issues." Alex to Me:"Do you have the recipe for your buttered noodles? Me: "Yep. Are you ready? Cook noodles. Add butter." Me to Alex: "I have a conundrum. I want to be a good citizen and all-around nice person, but I also want to punch someone in the face." Alex: "That's easy. Voo-doo Dolls. Can someone say, "Craft night?" 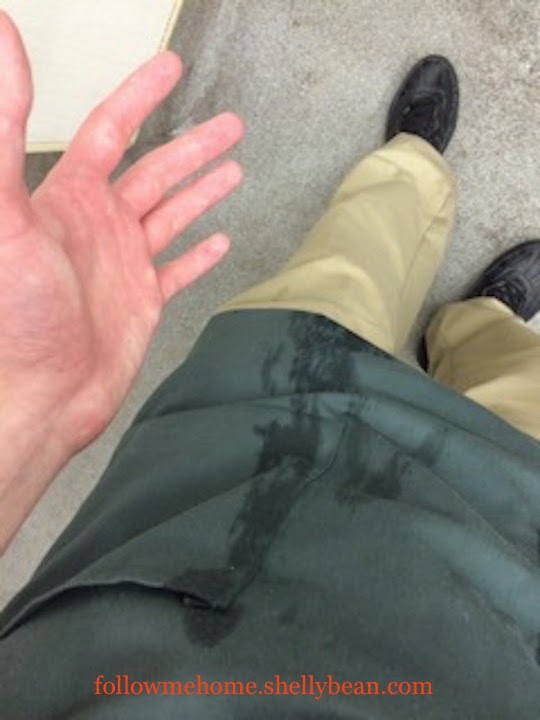 C. (from work): "Some person dropped an entire case of beer and I had to take it to the back, so if I come home smelling like Bud Lite, um, that's why." Me: I'm going on Tuesday for the Colonoscopy. Friend #1: "I hope everything comes out all right!" Friend #2 "That's a pretty crappy situation." Me to my Forever Friend: "I was flipping through channels earlier and saw the movie "Flowers in the Attic." I immediately thought of you. How old were we when we read those awful things?" F.F. : "We had to be twelve. I can't believe we got away with reading that trash! I heard the movies are pretty cheesy." Me: "They are. So I recorded all four." FF: "Yes! Our poor kids. They'll never be able to remember such things. What will they say to their kids? 'Hey, remember when our moms let us go to the mail box by ourselves? Remember watching that rated PG movie?'" Our grand kids will probably be wrapped in cotton and bubble wrap. Rebels. We took the dogs for their yearly physicals. While they had lost a bit of weight, it wasn't enough to make the vet happy. He explained (again) to me that I'm not showing love to the dogs by giving them extra food. I nodded, knowing that's exactly what I do. The man: (patting his stomach) "Did you see the vet look at me while he was talking to you about food not equalling love? I swear he was looking at me." Me: "Oh, that's not true. He's an animal doctor. He could care less how we look. Now let's get home. I just made you an apple pie." Thanks once again for reading. Thanks also to the Fly's AMAZING creator, Karen @ Baking In a Tornado, aka "The Blogging Original", for hosting this challenge! 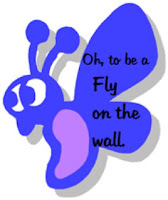 Would you like to join in the next FLY challenge? Click on the FLY button on my side bar. Karen will take care of you. Take a look at what the other bloggers have going on inside their homes. Go on! Leave them a comment. You know you want to! Shelly my kids are all grown and let me say, I still miss the days of playing, coloring eggs,etc...but when we are all together it is fun, lots of laughs and they are always in my kitchen waiting for the next great meal. LOLOLOL...at the vet situation...we gave Balboa lots of treats too...and we always worried he thought we needed to cut back on treats too! I HAVE to cut back on the treats. Both of the dogs were rescue dogs, so for some reason, I feel like I need to spoil them. I'm really working on it. I think those deviled egg chicks are adorable!!!!! Thanks, Stacy. The VooDoo doll craft night is going to have to happen now. LOL. You are welcome to any craft night. Our pup is a fatty and I get the snide comments from the vet too. 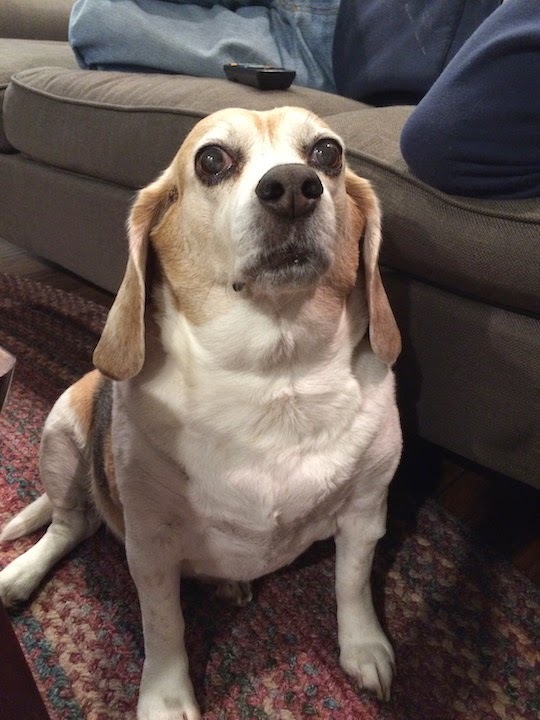 But the occasional good chunk of brisket is a universal sign in dog land for I think you are pretty darn special and she who shares her bacon totally gets the most affection. Those Deviled Chicks are adorable and the Easter egg hunt sounds like a blast! Everything is so awesome when the whole family gets together and has so much fun that the hours fly by. I am so glad you enjoyed a wonderful time with your sweet family. I just love hearing about days when you heart is full. It fills MY heart. I cannot wait for the post about the playhouse. I have a feeling I'll need to wear a diaper for that story. And I just might have to get you to write me a guest post with those adorable deviled eggs. You didn't put Circus Peanuts in them, did you? Aw, thank you, my friend. The play house..the story could make for some great television. I know it was great viewing for at least a few neighbors. LOL. Pssh. Food totally equals love. If you're putting cash in the eggs, I'm spending Easter at your place! Yay for having a good day!! When you do Voodoo doll craft night, count me IN! 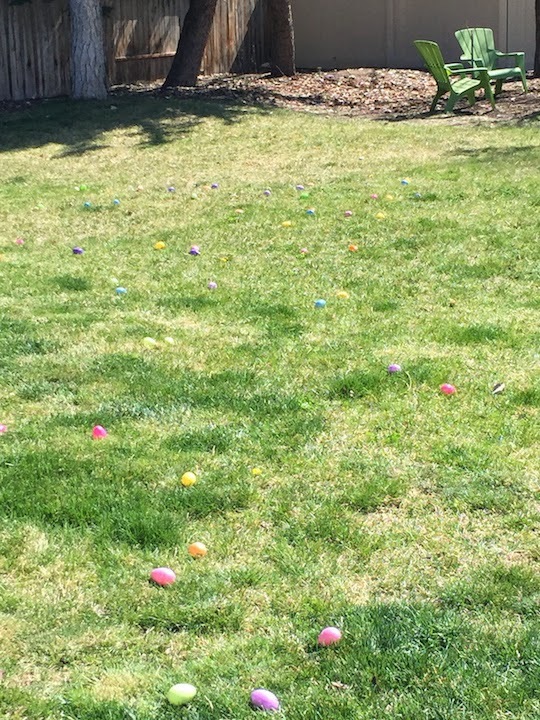 We put cash in the eggs for fun, not for the hilarious war that was witnessed in our backyard. Ha!! The pups faces! Sooooo cute!! And food DOES equal love! I love how you described your Easter. The whole family around the table. You know how much I get that. I'm so happy yours was so special. We didn't color eggs this year. My children hate me now. Mostly the 25 and 23 yr old. Lol! Crafting voodoo dolls and crocheting men's granny square shorts (inside joke!) sounds like MY kind of Saturday night fun! I heard about YOUR Easter. I KNOW you get it. Funny how simple is best, eh? 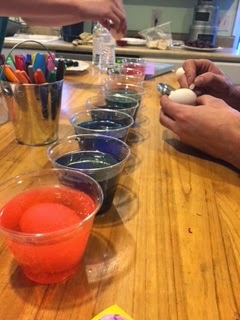 You can color eggs for the Fourth of July. There aren't any rules, remember? If I've never learned to crochet before, I must now. A new sub-shop for shellybean? Those famous last words - "It will be a breeze". It was anything but. Glad we got it done though and the result looks great. Can't wait to read your blog post with the full story. Easter (and Easter Eve) were fun. I think everyone enjoys the little traditions around holidays (and the food!) but being together with people you love is always the best part. 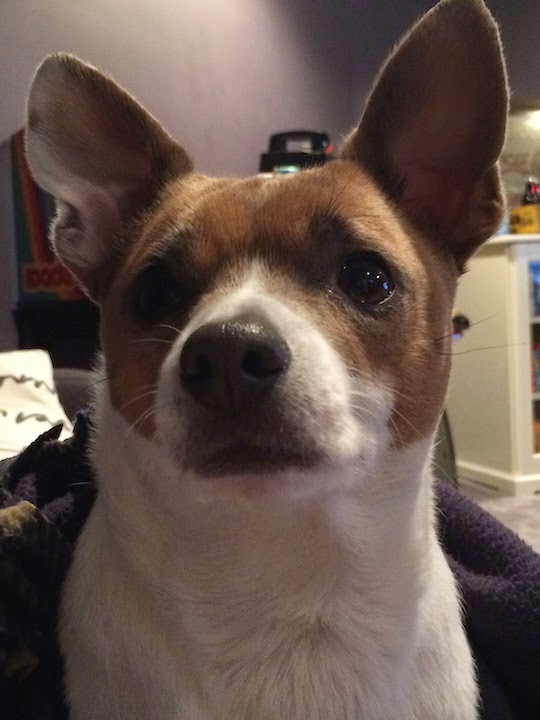 Some people say that dogs reflect their owners. I guess if you look at Lila and me, you could say that is true. We both are overweight and like to be lazy but we are both living the good life and love your food! Home projects are never like a TV show, and stuff always looks better on Pinterest. You guys, however, live in real life land, and you are doing a h*** of a job, both in the garden and the kitchen! Can't wait to read more about it! How did that procedure go? Yes, as long as we get to live it up in the bouncy house, it's all good. Michele, your Pinterest Fails have a platform to go to, did you know? Love this post, Shellybean! Easter was so great, and you know I love those eggs!! Lila and Henry are the cutest puppies, and I don't care what anyone says, they deserve a little food under the table at times. Thanks for always being there to remind me how to make buttered noodles.❤️❤️ Love you! Thanks, Alex. Those ridiculous looking eggs were worth knowing you liked them. Hey, if you EVER need another complicated recipe, you know where to find me. Love you so much. I have to say I'm happy I was mentioned in the blog but a little sad I wasn't in the cast! ;) I'm glad you didn't take a picture of my eggs, I wouldn't want people getting jealous! Also I always wondered what you and Alex talked about on the phone;) Great blog shellybean! I'd love nothing more than to add you to the cast of crazy around here. (You know you already belong). Haha.The eggs were fun. I don't usually enjoy that part, but it was wonderful to laugh with all of you. Alex and my phone conversations always must be taken in context. :) They do make for great blog content, though. Love ya, Twinnie! Glad you guys had a great Easter. Love right back at you, Twinnie. I loved reading about your kids this month. I was all full of smiles over your Fly. LOVE the idea of voodoo dolls for craft night. That's a classic. And your son preparing you for the fact that he might come home smelling like beer. I remember Flowers in the Attic. Never read them or saw the movies, but my mom couldn't put the paperbacks down. Now I wanna go back and see what all the excitement was about. We were in sixth grade when those books came along. They spread like wildfire among the class. I have no idea how someone didn't intervene, but hey, at least we were reading!!! LOL.